Nowadays there is an app (application) for anything. If you want to know what is the weather like, there are tons of apps that will give you the current weather with the push of a button or a swipe on your mobile phone. If you want to purchase tickets to the movie theater, there will be mobile apps providing you with movie titles, hours, or even popcorn and drinks. There are discount apps like Groupon, and the apps dedicated to rent a house or a swap of an apartment through Airbnb and Love Home Swap. My favorite apps are the ones for travel, to find restaurants, or cooking recipes. Anita Campbell recently wrote an article for smallbiztrends.com in which she explains an app as a software used on a smartphone or mobile device such as the Android, iPhone, BlackBerry or iPad, as in “mobile app” or “iPhone app.” This application is software that you access and use while online, via a browser, instead of software residing on your computer (such as Microsoft Word). The uses are specific to just one to a few things. I”ll give you an example. one app can be used to find an item in a supermarket, while another app can be used to get discounts or coupons for certain products in another supermarket. Are there any apps I can use? Well of course, there are, and I am glad to share them with you. Learning to do “Palmas” or rhythms with your hands. There is an app called Flamenco Palmas which can be downloaded through Google Play for Android which can help people learn about the different rhythms or palmas in flamenco. It includes 9 patterns of palmas for bulerías, 3 for alegrías, 5 for soleares, 2 for jaleos, 3 for tangos, 2 for rumbas, 6 for fandangos, 3 for tanguillos, tientos and seguiriyas. You can build each palma and customize them at the style of your choice. This app costs $4.99. Another app similar to the one above is called Compas Flamenco, and you can get it through itunes. It features Rhythms for Soleares, Alegrias, Bulerias, Siguiriyas, Fandangos, rhythms of 4 beats (Tangos, Tientos, Tarrantos, Rumbas), rhythms of 3 beats (Granaina, Malagueña, Sevillanas) are included. The price for Compas Flamenco app is $9.99. 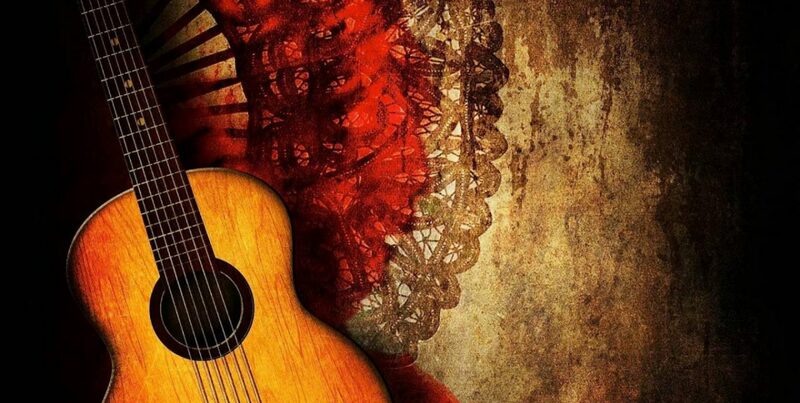 Flamenco Guitar Lessons teaches you with a simple method to play Flamenco sounding lines almost instantly. It claims to take just a few minutes to learn the method. This app is downloadable for free. Flamenco radio says “listen to the best stations of Flamenco music, enjoying her great emotional intensity, fierce stomping, deep groans and strumming guitar.” This app is free. Duolingo: Learn Languages Free is considered right now the best language learning app according to the Huffinton Post in their article written by Michael Alan Connelly and is considered a user-friendly, free application that teaches users languages through drills, requiring a mix of reading, writing, listening, and speaking. Learn Spanish is a simple, free app that can teach you the Spanish spoken in Spain or the Spanish spoken in Mexico. Yes, there is a difference, and you will find out once you travel to those countries or meet people from those countries in your life experience. I recommend you learn the difference. The one for travel through Spain in general, is Spain Travel Guide. It provides each city on the destinations section, the quick map reader, and suggestions for each location. Downloadable free through Google Play. Spain Travel Guide Offline provides a readable guide that offers detailed articles around the country in relation to your current location. The use offline save money on roaming fees and can refer to the articles even if you are offline and cellular data is not available. This app gives the traveler to read on articles while planning the trip or for when you are on the plane and need to get a quick idea. This app is free. There you have it, a quick list for the convenience of finding a good app on your flamenco/Spain adventure. I am giving you a small list, there are plenty more to see, specially the list of artists, music, books and even movies dedicated to this genre. There are apps for everything today. Do you have a favorite app that has helped you in your travels or finding music? Please, share with us, we are happy to try them and talk about them too. Now, start downloading with care, and start exploring. Next postAfter a Short Vacation… I need flamenco!